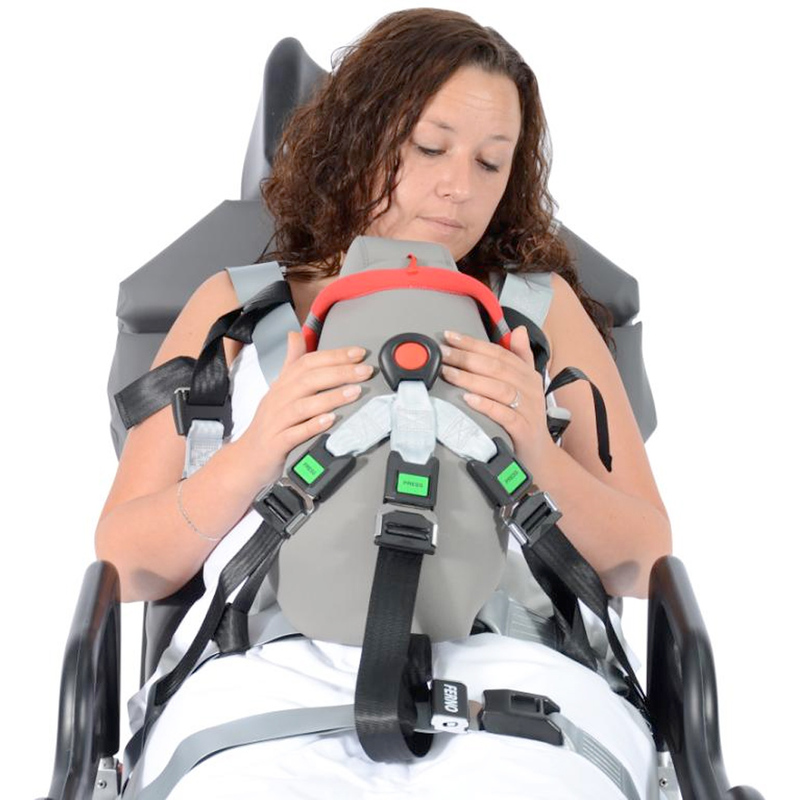 Kangoofix is an unique and newly developed and patented harness system for transport of newborns in an ambulance. 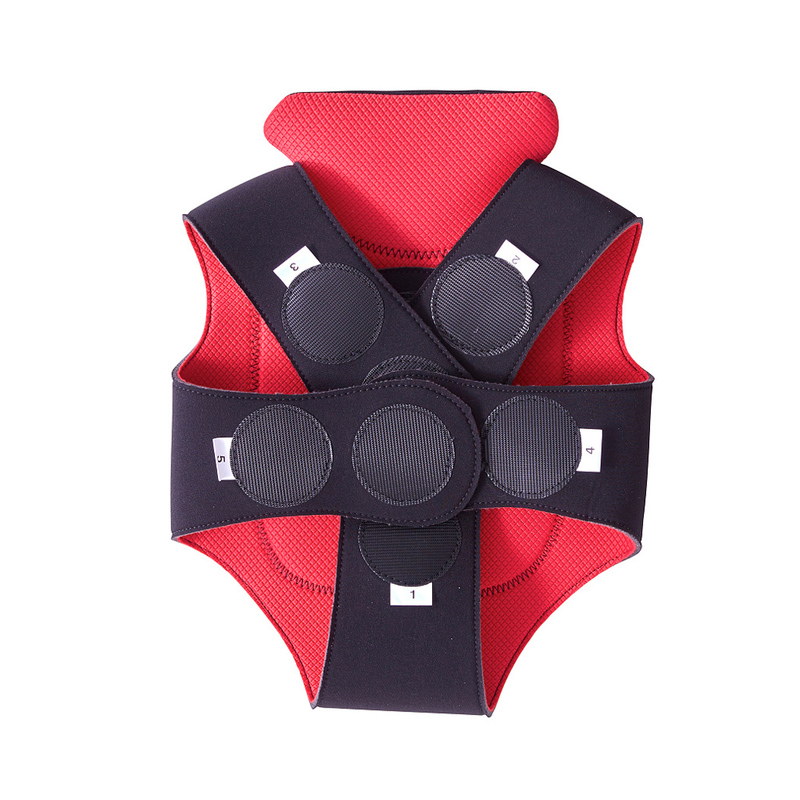 Kangoofix has been designed to protect the child, keep the parent and infant in close contact and offer a safe tool and protect ambulance staff. 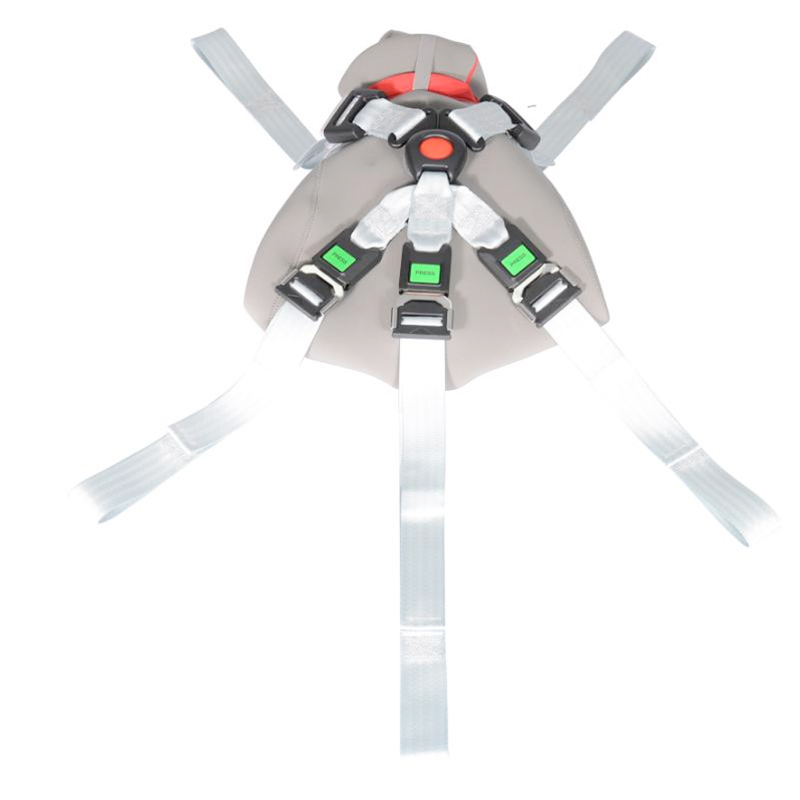 Everyone shall be securely fastened in an ambulance during transport. 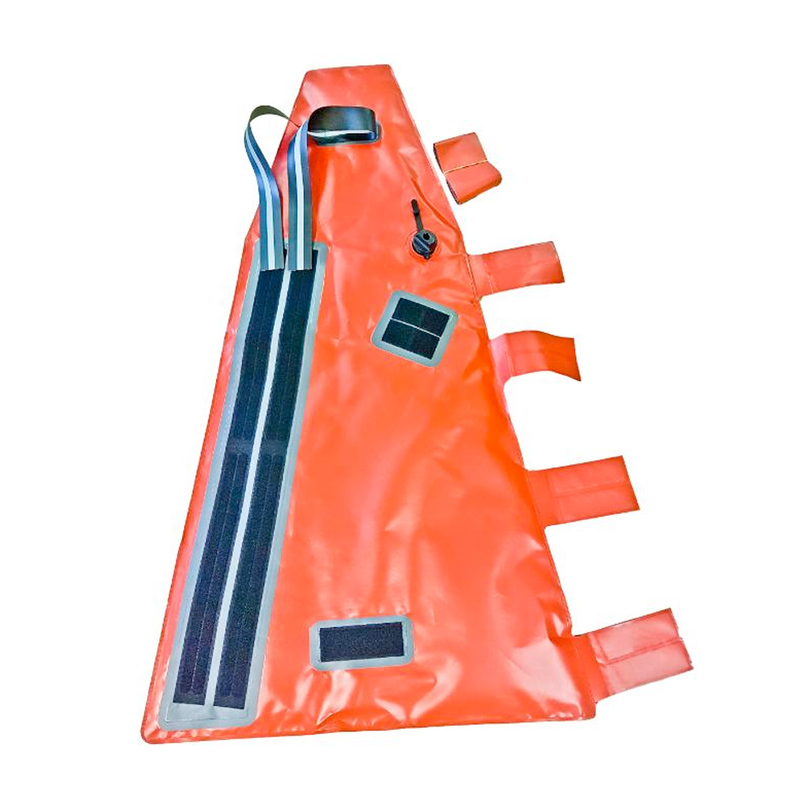 Kangoofix has been tested and approved through medical field test and dynamic crash tests according to EN 1789 and TSFS 2010:2 (10 & 20G). 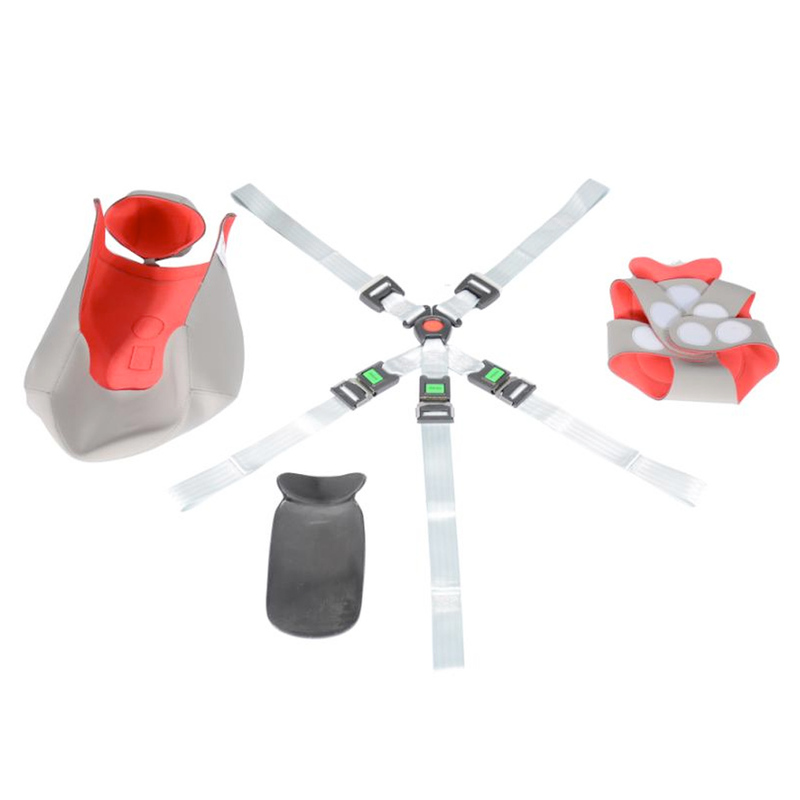 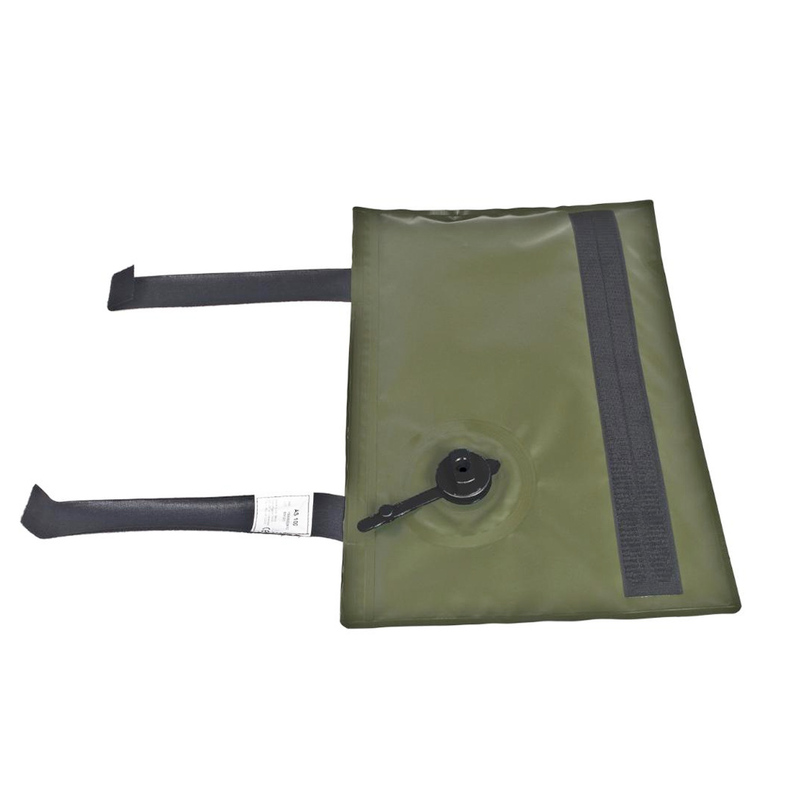 Kangoofix is convenient to store in the ambulance and easy to handle in emergency situations. 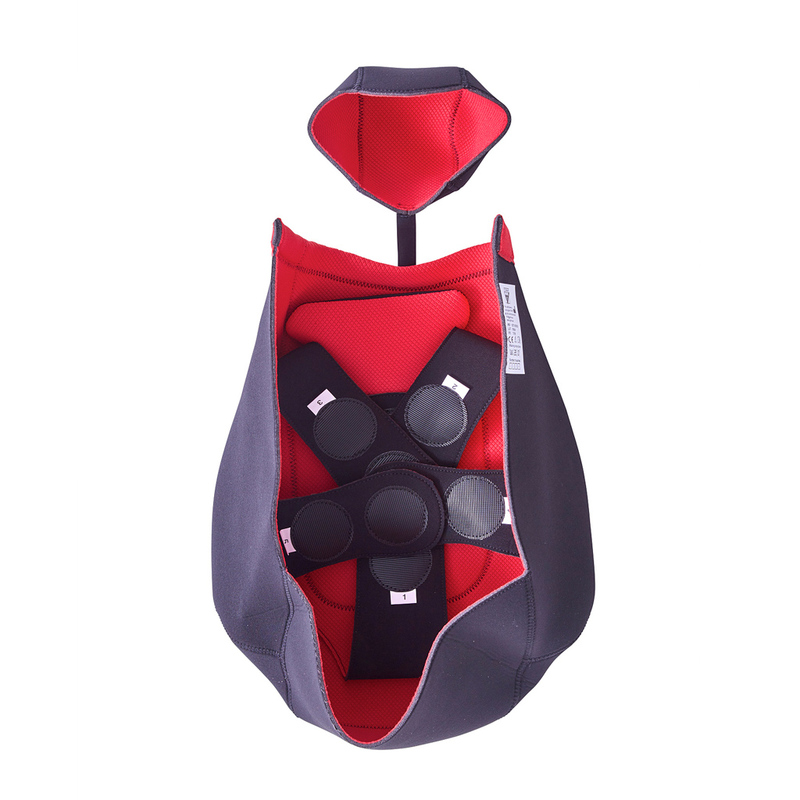 The inner harness part is soft, supportive especially for the child’s neck and head and thermally insulating to reduce the risk of hypothermia in addition protecting the infant. 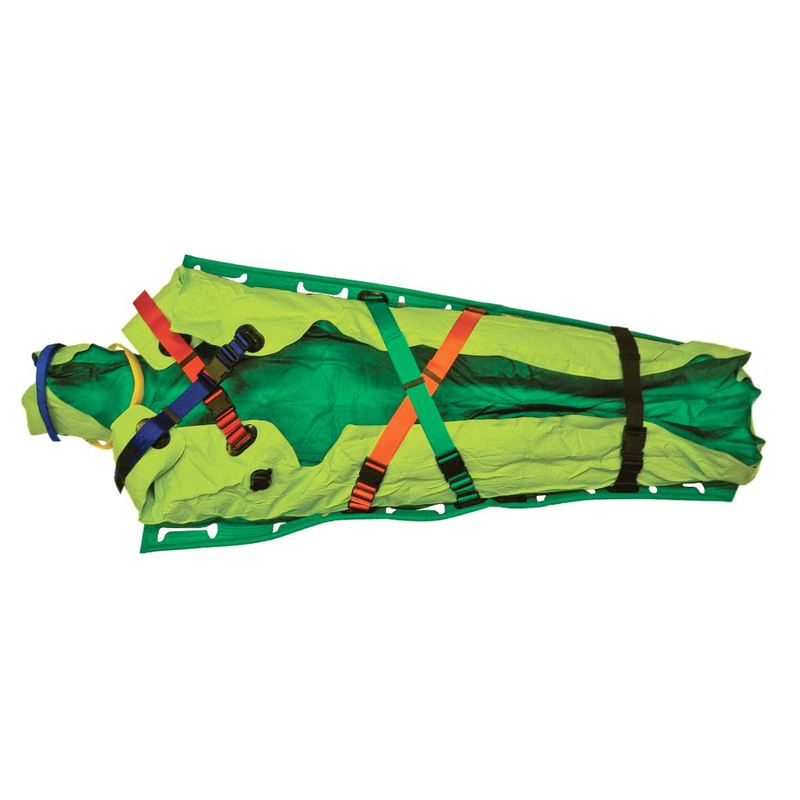 The entire system is enclosed by a 5-point restraint system that shall be attached to the stretcher ordinary 4-point and leg harnesses.